Enjoy a blast from the past with one of our classic cocktail arcade machines. Cocktail arcades are low, table-style machines. 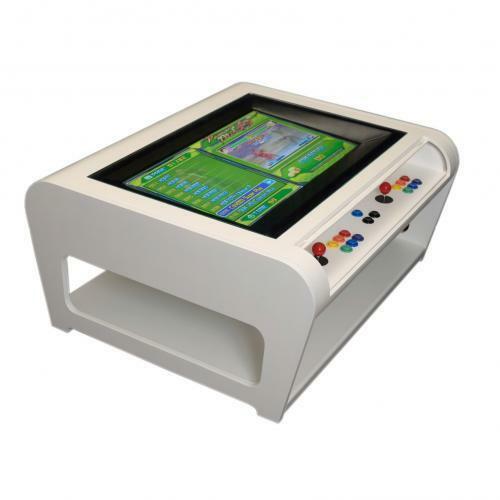 They have dual controls set along the wider edges of the table for face-to-face gaming battles. This style of machine is among the rarer styles. 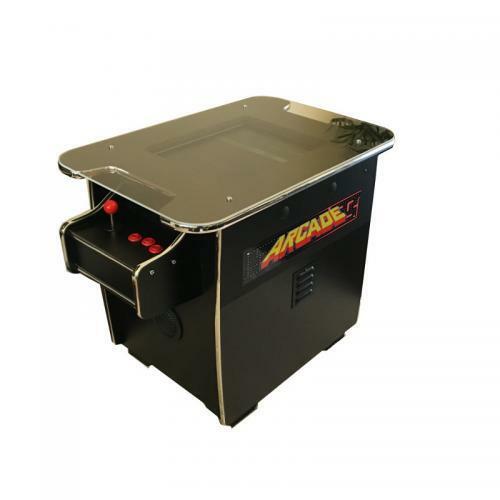 This head-to-head style arcade machine brings a retro look and feel to a room. 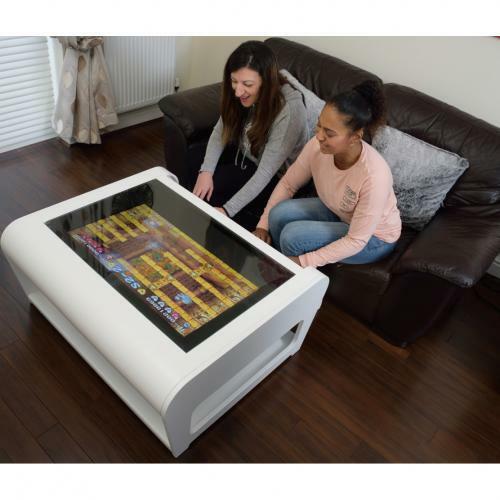 The table supports up to a 24-inch flat screen and comes equipped with classic arcade buttons and original-style joysticks. You can also add optional panel graphics for an eye-catching design. 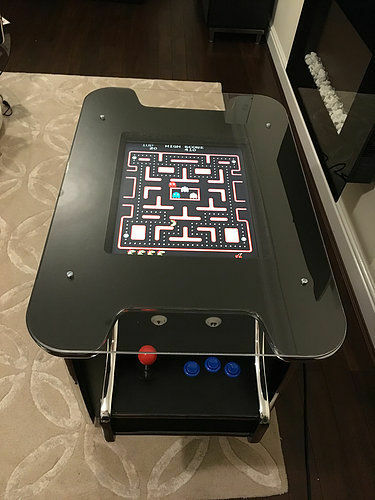 Our cocktail arcade machine comes with a classic game pack containing 60 games, include legendary games such as: Donkey Kong and Pacman. Check out the game pack options here. Customised features are available on our cocktail games cabinets. So, get in touch if you are interested in getting bespoke features on your classic cocktail arcade machine. Registered UK Company Number: 10426576, Company VAT Number: GB293701983.